Are you tired of feeling a huge drop in temperature when you step out of your house into your attached garage during Chicago’s coldest months? Whether you are building a new custom garage in Cook County or upgrading an old garage in DuPage County, the choices you make about insulating the space can make a big difference in your comfort. R-value is the power of an insulating material to stop heat flow. The higher the R-value, the better the insulation. Whenever one space is warmer than another, heat will automatically flow from the warmer space to the cooler space until the temperature is equalized. 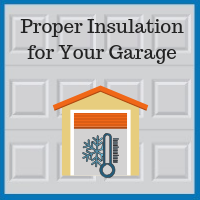 Insulation helps to prevent warmer air inside your garage from flowing outdoors. With no insulation, the air in your garage will be as cold as the outdoor air. Imagine a winter day in Chicago when it is 30 degrees outside. Your furnace has heated your house to 70 degrees. If you open all the doors and windows of the house and shut off the furnace, heat will flow out of the house until, eventually, the interior house temperature is equal to the outdoor temperature of 30 degrees. This is why you may hear people yelling, “Shut the door before you let all the heat out!” during the winter. Granted, most people do not have a furnace heating their garage. However, an attached garage will receive some heat from the house itself, from sunshine, and from hot car engines. Insulation in the walls and doors of your garage helps keep the interior space a little warmer than the outdoors. What Is a Good R-Value for a Garage Door? A plain garage door of steel, fiberglass, aluminum, or wood has virtually no insulating value. The addition of insulating panels to an existing uninsulated garage door will typically give you an R-value of between 6 and 10. You can also find pre-insulated garage doors with an R-value as high as 18. When choosing the insulating value for your garage door, it can be helpful to keep in mind the insulating value of your garage walls. Four-inch wood studs have an R-value of 6, while typical 3.5-inch fiberglass insulation batting between the studs has an R-value of 11 to 15. A layer of drywall has an R-value of around 0.5; the same is true for standard uninsulated vinyl or aluminum siding. A double-paned window has an R-value around 2. When all of these materials are combined, and assuming good weatherstripping, an insulated garage wall could be expected to have an R-value between 10 and 14. That would be an appropriate R-value range to consider for your garage door, absent any other considerations. 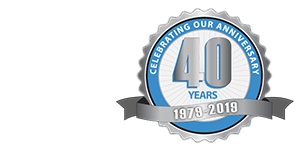 If you are thinking about building a new garage or improving your current garage, you can count on the experience and quality of Blue Sky Builders to provide you with the knowledge you need to ensure that your garage is properly insulated. We are a garage builder in DuPage County and in neighboring counties. Call us at 630-852-8485 for a free estimate.